Whether you’ve just started Invisalign or you’re about a month or so away from completion, your dentist will remind you of the process that comes after. 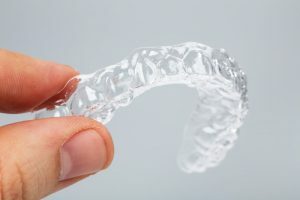 It doesn’t matter what orthodontic treatment you finish, whether it’s Invisalign in Scripps Ranch or traditional braces, you’ll need to wear a retainer after to maintain your investment. The last thing you want is to go back onto an orthodontic regimen after just finishing. Keep reading to learn why a retainer is so essential to keeping your smile straight. 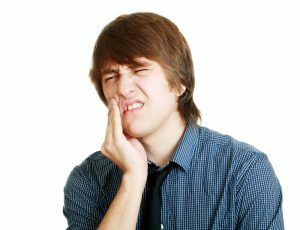 When you wake up in the morning, is your jaw always in chronic pain? When you chew food, do you notice your jaw clicking or popping as you chew? If these symptoms sound familiar, you may need TMJ therapy in San Diego. Of course, temporomandibular joint disorder is only one of the possible causes of your symptoms. The only way to know for sure is to get examined by a professional on the subject. Here are three possible causes your dentist says to consider. Dental implants are an excellent solution for patients who are living with one or multiple compromised or missing teeth. Because they replace both your tooth and root, they not only restore your smile, but they also protect your oral health. 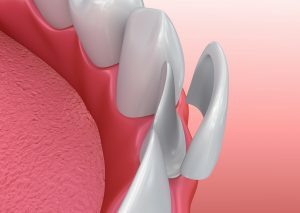 Since implants can restore multiple teeth, at times the procedure can be more complex. Your dentist in Scripps Ranch explains everything you need to know about dental implants. Acid reflux and gastroesophageal reflux disease (GERD) are common conditions that affect millions of people. They cause stomach acids to back up into the esophagus and are often accompanied by other unpleasant sensations, such as heartburn. GERD can even increase the chances of esophageal cancer! If you suffer from GERD or frequent acid reflux, it’s important that you take steps to manage the condition. Today, your dentist in San Diego is here to talk specifically about how acid reflux can affect your oral health. Will Your Porcelain Veneers in San Diego Last Forever? Chips, cracks, stains and gaps…some people call these “character flaws,” but others want to correct them and achieve the smile they’ve always dreamed about. If you fall into the latter category and have been looking into how to correct your smile’s flaws, you’ve probably come across veneers! Porcelain veneers in San Diego are a fantastic option for correcting a wide variety of cosmetic issues. But how do they work and how long do they last? Keep reading to find out! A Dentist in San Diego Discusses Impact of 5 Lifestyle Choices! You may be surprised to hear it, but researchers have found a lot of evidence over the last 20 years that the health of the mouth and body are linked. That means that the same habits that affect your overall health affect your mouth as well! 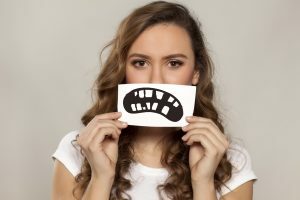 As a dentist in San Diego who provides comprehensive care, we’ve seen firsthand how some of the daily lifestyle choices people make can affect their teeth and gums. 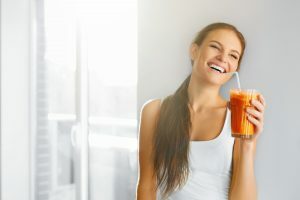 Since the connection between oral health and the body has never been clearer, we wrote a blog to explain how five lifestyle choices impact you! Beep…beep…beep…Good morning! As your alarm clock goes off and wakes you out of a sound sleep, you groggily get up and head to the kitchen. As you go to give your significant other a quick peck, they hastily turn their cheek at the last second. Yikes! In a not-so-subtle way, your partner might be giving you a clue that your breath isn’t so great. Unfortunately, even if you feel as fresh as a daisy after a good night’s sleep, your breath doesn’t smell like one. Considering that you brush and floss each night, you may be confused as to why this is still happening. Not to worry! As a dentist in San Diego, we’ll explain why no one is immune from morning breath and what you can do about it. Are You Being Screened For Oral Cancer? Ask a Dentist in San Diego! Thanks to modern medicine over the last several decades there have been significant advances in treating cancer and survival rates are up overall. However, the rate at which people are getting some types of cancer has actually increased. Sadly, this is the case with oral cancer. 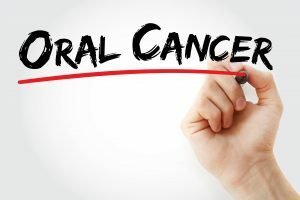 In fact, according to the National Cancer Institute, approximately 1.1% of all men and women will be diagnosed with either oral or throat cancer in their lifetimes. As with all cancers, early detection is critical. The good news is that your dentist in San Diego can perform these screenings for you. But how often are they recommended and what is your dentist looking for? In this blog, we’ll answer those questions and more. These days it’s easy to feel self-conscious about your smile if it isn’t as white as you’d like. Especially since it seems like everyone else has a perfect, sparkling set of pearly whites! But if your teeth are discolored does that mean that you have cavities or other issues? Not necessarily, according to a dentist in San Diego. In fact, someone with stained or yellow teeth can actually have great oral health. Somewhat surprisingly, the appearance of the teeth isn’t always an indicator of how strong they are. Keep reading if you’d like to know more about the difference between white teeth and healthy teeth – and how you can have both! If you’re one of the 178 million Americans with missing teeth you’ve probably spent some time looking at replacement options. After all, even just one missing tooth can affect your confidence, your ability to eat all your favorite foods and your appearance! Dental implants are an excellent option for a wide range of patients because they can be customized, regardless of how many teeth are missing. Not to mention that implants look and feel more like your natural teeth than other any other option. 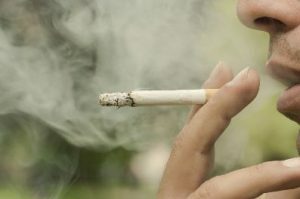 But what if you’re a smoker – can that impact an implant? 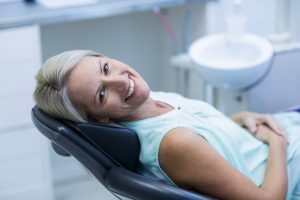 In this blog, your dentist in San Diego will answer that question and explain how you can increase your chances for success.